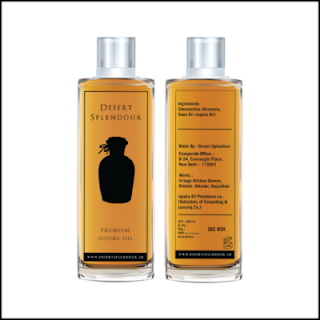 Desert Splendour provides you with the purest Jojoba Oil. If you are looking for healthier skin and stronger hair then Jojoba Oil is just the answer for you this winter. Embrace your skin with the richness of the purest form of nourishment that your skin deserves. Jojoba oil is also available in a Natural Lavender infused variant. Say goodbye to dull, dry skin and frizzy hair with the goodness of Jojoba plus Lavender bottled with care and perfection.